A cult classic, this pinkish-red lipstick has graced the lips of women since 1953. 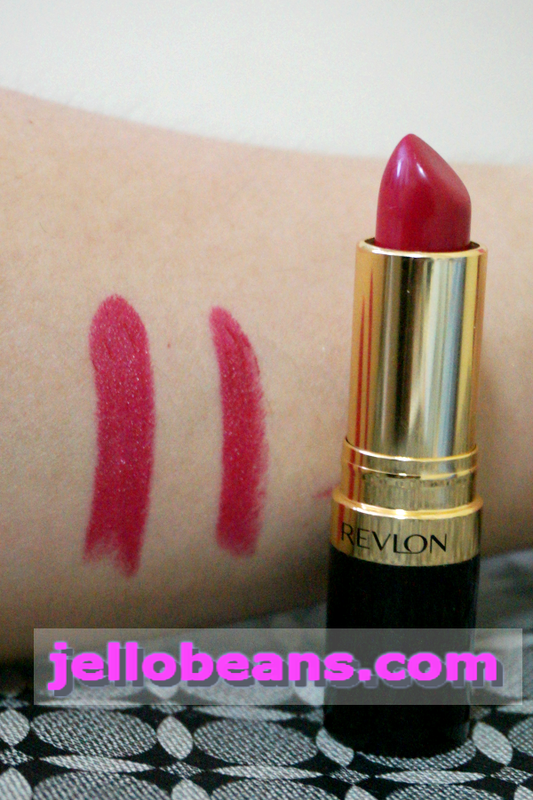 Cherries in the Snow is one of Revlon's classic shades (hello Fire and Ice). While most makeup trends come and go, this particular raspberry-red shade withstood the test of time. 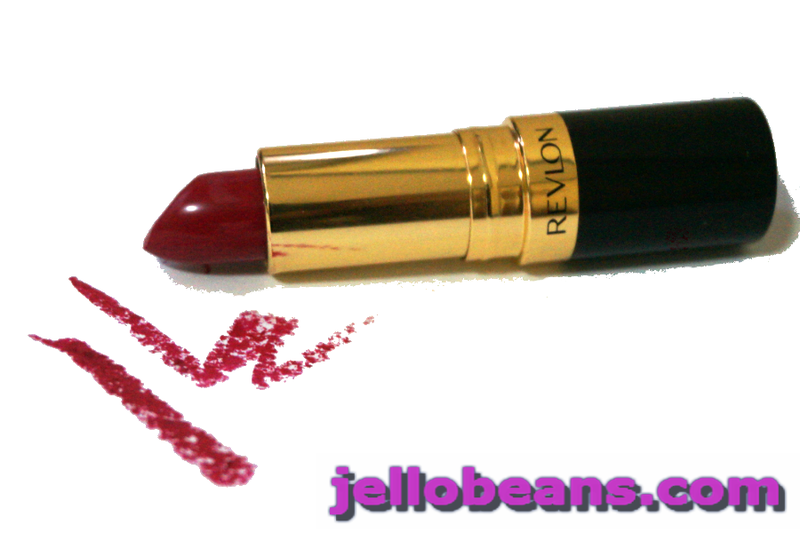 Revlon Super Lustrous Lipstick in Cherries in the Snow (440) can be described as a cool-toned raspberry red. The color is closer to the pink end of the spectrum with blue undertones. Swatched on my skin, it came off as more dark pink/fuchsia, maybe due to the yellowness of my complexion. 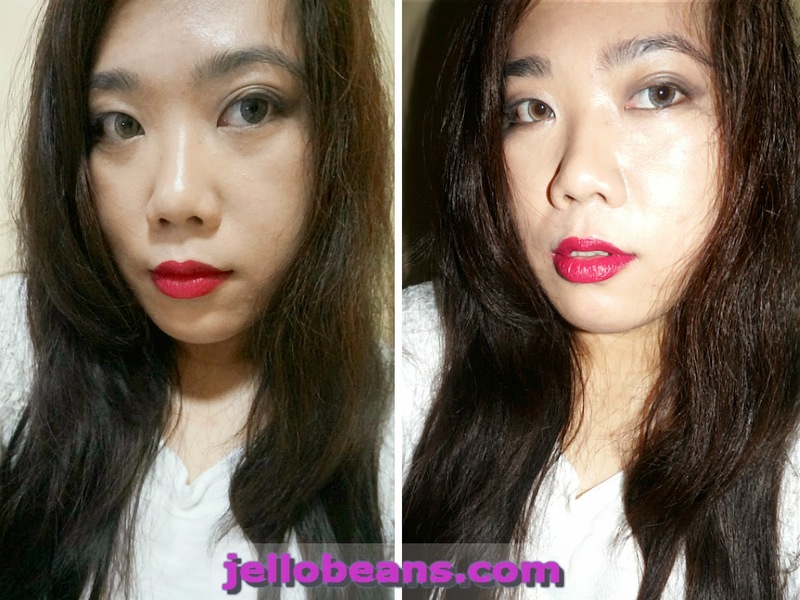 On my (pigmented) lips, the pinkness deepened and some red showed. I am particularly a bit wistful nowadays, perhaps because of this rainy and gloomy weather. My nostalgia is particularly strong and that's maybe the reason why I bought this classic shade. This is such a pretty yet classy shade. You might think that girly-girls can't be sophisticated ladies but this shade tells you otherwise. It's the kind of pink-red that turns on you into a Katy Perry-Marilyn Monroe hybrid. 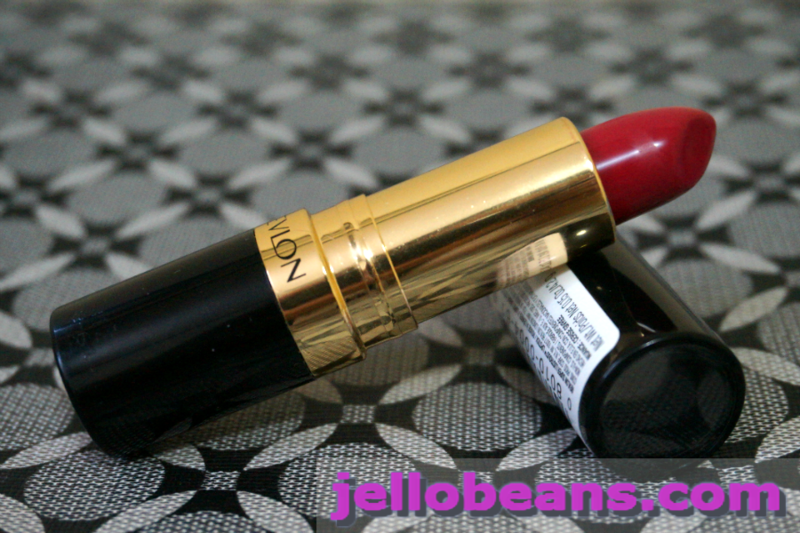 This is my first Revlon Super Lustrous lipstick and as with any Revlon lipsticks I've tried, this one applied smooth and even on my lips. 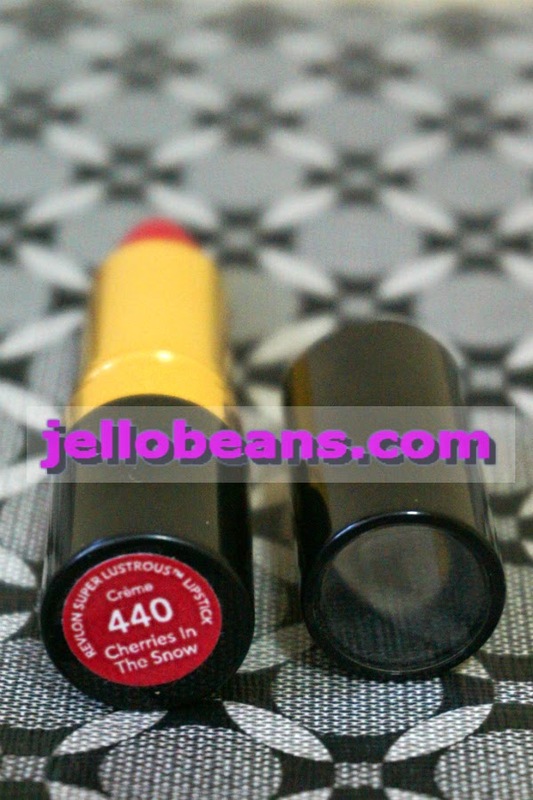 The color is very opaque, one swipe is all you need to get full coverage. 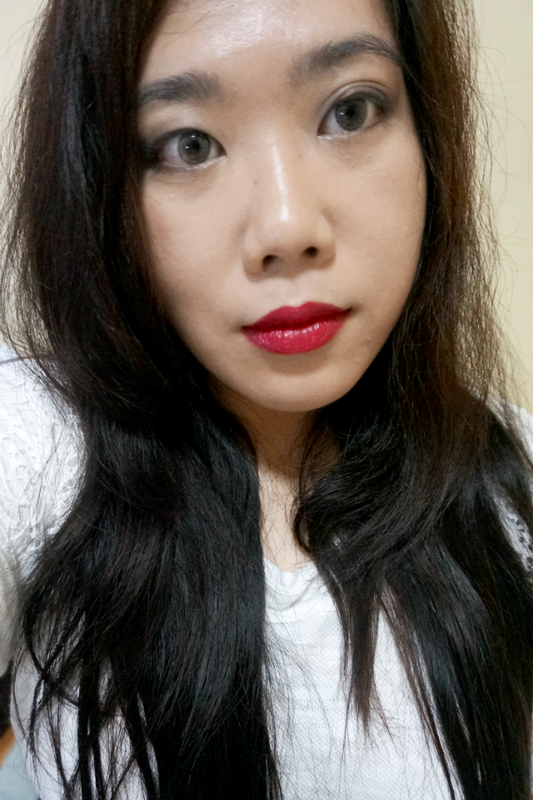 My love affair with matte lipsticks is still going strong but I'm glad I strayed a bit. 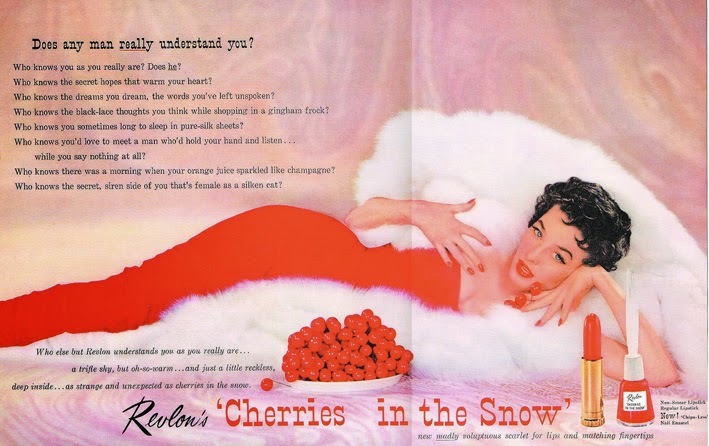 No wonder Revlon's Cherries in the Snow has been around since 1950s. 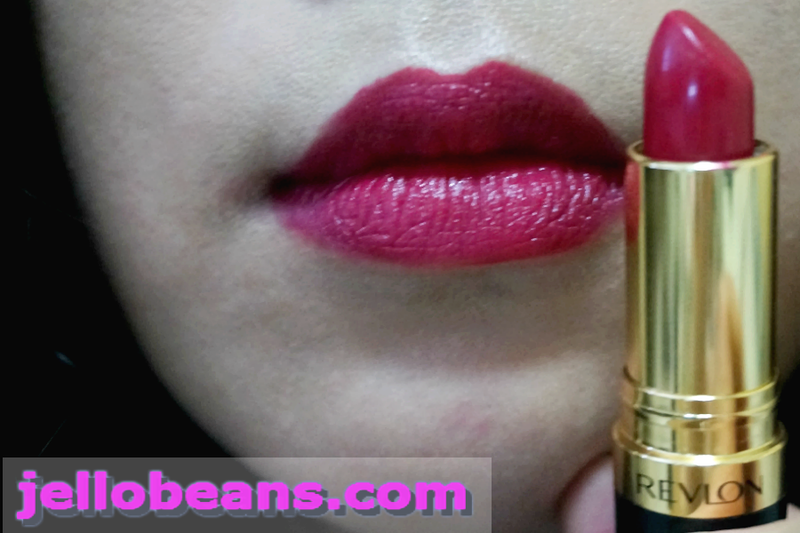 This is a fool proof lipstick that's difficult to mess up - a great wear from casual to more formal affairs. Overall: Revlon Super Lustrous Lipstick in Cherries in the Snow is a classic yet fun color to wear, great especially for the fall/winter (rainy/cold) season. The fantastic formula applies evenly with no feathering, does not settle on lines and does not highlight imperfections. This makes your lips look plump and healthy. If you are on the fence about getting this color, don't! You can never go wrong with Cherries in the Snow. This is such a gorgeous color and it looks great on you! Thanks! I think this color would look so beautiful on you.